This time the Toronto Raptors will be the visitors when they play the Chicago Bulls on Saturday for the second time in five days. The Raptors scored an easy 112-103 home win over the injury-depleted Bulls on Tuesday. It is the eighth straight time the Raptors have defeated the Bulls and they will be going for a sweep of the four-game season series. The Bulls followed their defeat in Toronto with a 118-98 home loss to the Portland Trail Blazers on Wednesday. The Raptors went on the road Thursday to defeat the New York Knicks 117-92 with Pascal Siakam scoring 31 points in the absence of Kawhi Leonard, who was being rested. 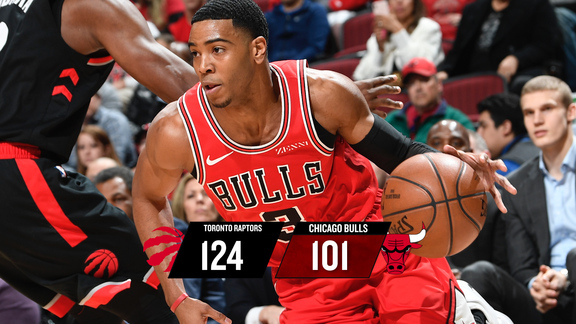 "One of our points of emphasis was we cannot turn the ball over against the Raptors, and obviously we turned the ball over and it hurt us," Bulls coach Jim Boylen said after the loss in Toronto. 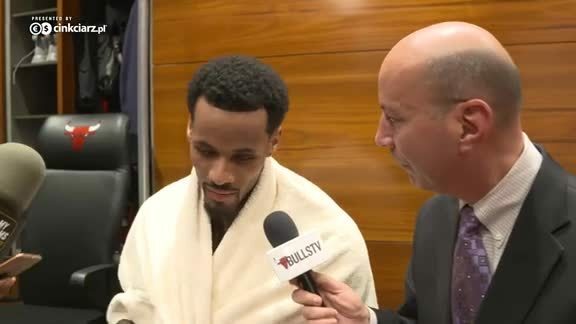 "We won the boards, we won the second half and those are things we talked about at halftime. We were down at halftime on the boards so we had to win the boards in the second half. We wanted to play with pace and we wanted to drive the ball and I thought we did that. "It is no secret we're short-handed but I was really proud of our guys to battle and compete and we hung in there." The Bulls lost another player in Toronto when Lauri Markkanen did not play in the second half because of a rapid heart rate and fatigue. He will not play for the rest of the season. The Bulls already have been playing without several players including their top scorer in guard Zach LaVine (bruised right thigh, right patellar tendinitis). Also sidelined are small forward Otto Porter Jr. (strained right rotator cuff) and point guard Kris Dunn (back). "Every moment this team can be together, that we can get to know each other, play together, see who fits with who, is important," Boylen said. "We wish we were at full strength, but we're not. As you know, in the NBA, nobody is feeling sorry for us, so we gotta move on." In New York, the Raptors also were without OG Anunoby, who was suffering "concussion-like symptoms" after being knocked on the head late in the game Tuesday against Chicago. Anunoby originally cleared concussion tests after the game, but his condition worsened in the next 48 hours. While the Bulls are looking toward future seasons, the Raptors' future is in the upcoming playoffs. Raptors coach Nick Nurse took advantage of the game in New York to do some tinkering. Nurse took the opportunity have both centers, Marc Gasol and Serge Ibaka, on the court together. It is one of the final things he would like to experiment with as the Raptors run out the schedule before the postseason. "It was good and we did it at the time when it was about a 10- or 11-point game, and they took it out to 18 with that unit," Nurse said. "I think that was one of the first real positive (surges) we had with that group, with those two guys together. It looked good and I left Pascal (Siakam) out there too so we were big all over the place and that was encouraging to see."